Many people who live in apartments fail to take advantage of the outdoor living spaces available to them. Greensboro offers a mild taste of all four seasons making outdoor living a pleasure for most area residents. 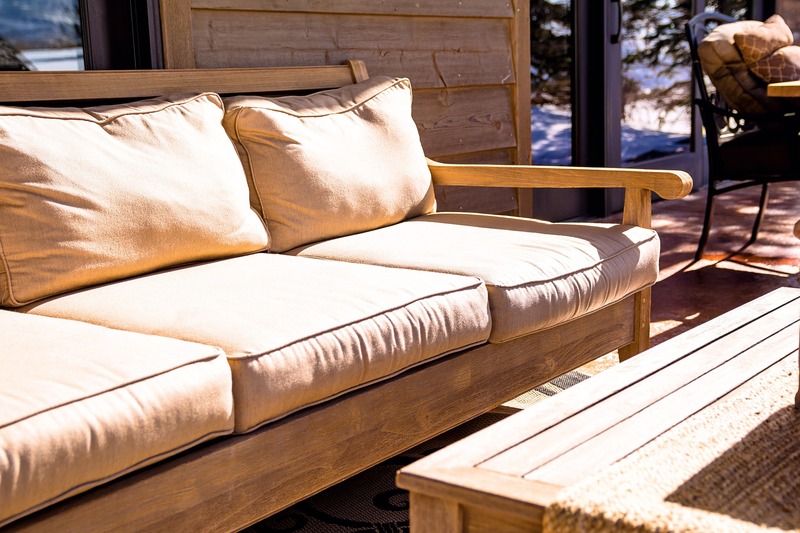 These tips will help you get more enjoyment from your outdoor living spaces in every season! Fans can help move air and cool off a hot summer night, while patio heaters can help take the chill out of a balmy evening in late fall or winter. This allows you to enjoy being on your patio well after your neighbors have given up for the night. Privacy, or lack thereof, is the one thing that prevents people from enjoying their outdoor living spaces as much as they would otherwise. Adding something as simple as a screen or balcony covers to your outdoor living area adds the sensation of privacy, allowing you to enjoy your spaces even more. Even in the midst of a city, you can feel like it’s just you and your guests. There are all kinds of patio seating options available. Some are more comfortable than others. Even with a smaller patio seating area, you can still find comfortable seating that allows you and your guests to spend more hours enjoying Mother Nature on your patio or balcony. Try it before you buy it, if possible. Many lawn and garden stores will have display models you can test out for comfort before making the investment. Take the same great care outfitting your patio space as you invest in making the interior of your home beautiful. Choose decorations for your outdoor living area that can weather the elements. This includes things like natural stone fountains, plants and flowers, and even small trees. The idea is to make your space beautiful and allow it to show your personality. There are plenty of options that allow you to do both without crowding your space. Act now, before it’s too late. Check out these Greensboro, NC apartments for outdoor living spaces you can truly make your own.